Ohm’s Law deals with the relationship between voltage and current in an ideal conductor. 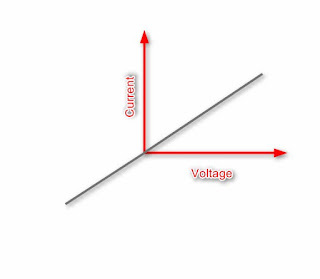 This relationship states that: The potential difference (voltage) across an ideal conductor is proportional to the current through it. The constant of proportionality is called the “resistance”, R.
More specifically, Ohm’s law states that the R in this relation is constant, independent of the current. Georg Simon Ohm a german physicist investigated the relation between current and voltage in a resistor and published his experimental results in 1827. Georg Simon Ohm (16 March 1789 – 6 July 1854) was a German physicist and mathematician. As a school teacher, Ohm began his research with the new electrochemical cell, invented by Italian scientist Alessandro Volta. Using equipment of his own creation, Ohm found that there is a direct proportionality between the potential difference (voltage) applied across a conductor and the resultant electric current. This relationship is known as Ohm’s law. A d.c. variable supply voltage is connected with positive terminal at point a and negative terminal at ‘b’ as shown. As voltage is increased, the current recorded by the ammeter increases. 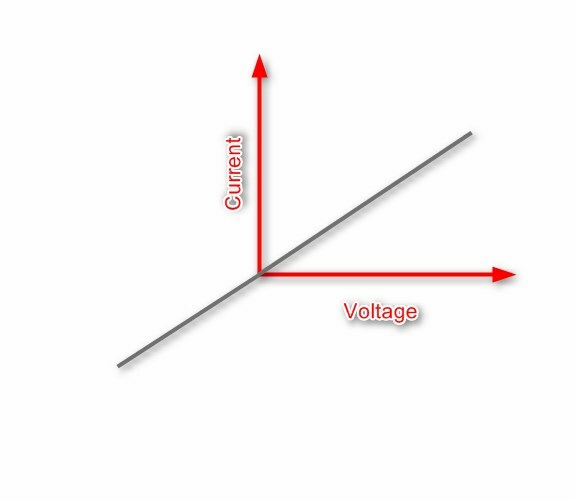 For every voltage value the current is recorded and the corresponding point is plotted on the rectangular graph. With this a straight line graph passing through origin is obtained in first quadrant. Next the terminals of the variable dc supply are interchanged i.e. a is connected to -ve polarity of de supply and b is connected to +ve polarity of de suply. 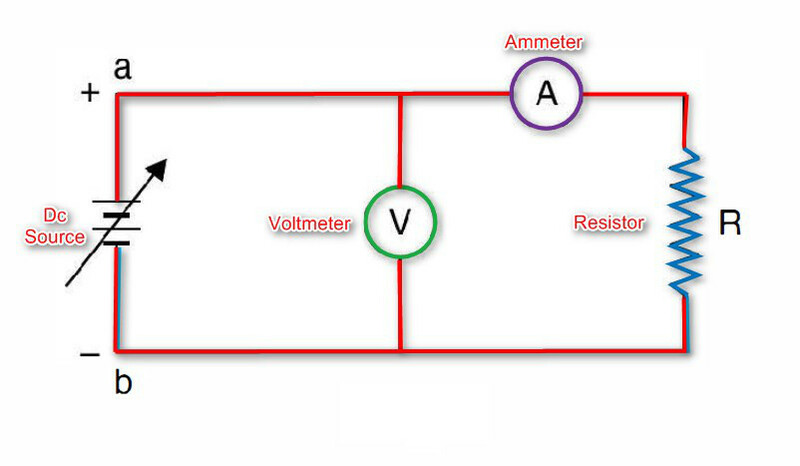 Since both the voltmeter and ammeter are moving coil, their individual connection should also be interchanged so that meters can read up scale. This has been done to reverse the direction of flow of current through the resister R. Again the voltage is varied and corresponding to each voltage, current is recorded and the pairs of V and I are plotted in the third quadrant. voltage both in the first and third quadrant. The slope of straight line is also same in both the quadrants which shows that the potential difference across the terminals of the conductor is proportional to the current passing through it i.e. V α I. Also it is found that for a constant current in the conductor resistance should be changed proportional to the potential difference i.e. V α R.
where k is a constant of proportionality. However, the units of voltage, current and resistance are defined so that the value of k = 1. When the current is 1 amp, voltage 1 volt, the resistance is 1 Ω. The resistances which Ohm considered are linear i.e. the resistances which have linear V-I characteristic. Also, these are bilateral i.e. irrespective of direction of flow of current theresistance does not charge. Physical condition (Temperature, Pressure etc.) of the conductor remaining constant, the voltage across the terminals of a conductor is proportional to the current flowing through it.